If you have a tree or plant you wish to clone, look no further. This method is uncomplicated and quite easy to do. Be sure to get a cutting from a healthy tree. The cutting in this picture was taken from my young elderberry tree. Try to get a 4-8” cutting from small trees or a 10-15” cutting from large trees, .eg. oak. Smaller trees will root faster. Then create an 8” deep hole. gently squeeze the soil around the root, and then gently firm the soil around the cutting. Place the pot OUT OF DIRECT SUNLIGHT; this allows the seedling to get used to the sun, or harden, before being transplanted to its final place in the full sun. During the early stages, the sun will dry up the soil but it must stay moist (not wet). The cutting does not need to be in a dark place but should be in a place that has a balance between light and dark. Mist the cutting EVERY OTHER DAY unless the soil is visibly dry. The soil would crack if the soil is dry. Try not to water the cutting too much or the cutting will rot. Smaller trees take about four to six weeks to show little leaves like the soursop pictured below. The above method can be used with most trees including herbs (rosemary bush, Spanish thyme etc.) as you can see from the pictures below where there are cedar trees, a maringa, rose, mulberry etc. All of the above cuttings were done without the help of growth hormones but can be used if it is your preference. Transplant the tree only when the tree is big enough to withstand the elements. So do not try to transplant at the first sign of growth. It is best to wait about three months. The best time to take cuttings depends on whether you remove a softwood, semi-hardwood or hardwood branch section. Softwood and semi-hardwood tree cuttings are the most common type for fruit trees because of their ease in collection and quick root production. Hardwood cuttings are slow to root, but are an option if you miss the earlier collection dates for cuttings. It would be best to try this method in the winter or early spring, before the cuttings have bloomed and put forth leaves. This allows the cutting to put most of its energy into developing roots, as opposed to maintaining leaves. If you can’t do it any other time besides when the cuttings have leaves or fruit, it is highly recommended to cut off the leaves and/or fruit because they are going to fall off anyway. If this is not done, the cutting will waste precious energy on maintaining leaves rather than the roots. · For those of you in cooler countries, cover the pot/cutting with a white plastic trash bag creating a greenhouse effect during the first stages of growth. I am looking to root some azalea cuttings and I am using some hormone rooting powder to get the cuttings to root. I was wondering…did I hear you say to use a starting mix on one of your videos? I have some Quick Start By Miracle Grow which has 4% total nitrogen, 8% phosphate, and 4% potash. 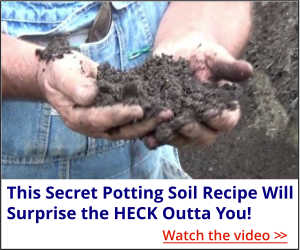 Would you advise using the Quick Start with the rooting powder or would that be too much fertilizer? Rooting cuttings don’t need nor will they appreciate fertilizer. They really need to be in a neutral medium until they are rooted. How to grow a magnolia plants from semisoftwood cuttings or semihardwood cuttings!thx Mike youre amazing ,the best wishes from me -greetings! Hi Mike. This email is unrelated to the above topic, but I could not find a better way to email you directly. I recently saw a you tube video you made using a clam shell device to propagate trees/plants. You did not have a source for the clam shell devices but said you would likely get this and post it. Thus far I have not seen anything on your website related to this neat product. Do you have a website or email source available yet. 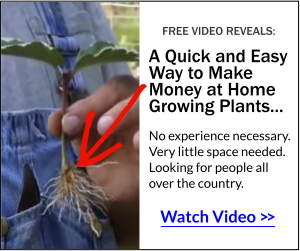 I would like to order some and try this interesting method of propagation. Thanks. Thank you so much for the information on plants and tree cuttings, I will try it in the next few days. Hi Mike i watced manu more difrent videos,tutorial or not also i read on google pages for planting magnolia tips but i really couldnt find any good demostration or sugestion or advice also some good response for planting magnolia tips from semi-hardwood cuttings but not air layer sistem!so if you can somehow to help my ill be Apricoate for your advice and helps /steps how properly to prune(multiplay) a magnolia tree plants from brunches with semihardwood or hardwood cutting (do i need use rooting hormones or not or honey As suplayer)in late summer or Septembar ,octombar -thank you -the best wishes from me ,Zaneta!im in microclimate hardines zone7 , to 8 in the summer here is wery worm with wawes from Mediteranian reon!thx -again! Congratulations for doing something you love, wishing you incredible success! When I moved from village to city, the gardener in me was asleep. Now, because of you, I am returning to mother earth.